Forex Affiliate Marketing - How do Forex Affiliate Programs work? - Find the best FOREX Brokers, FOREX Bonuses, FOREX Signals, FOREX News, FOREX Rates and everything FOREX related on Forex Directory! Let us have a look at the basics: What is Forex Affiliation? Affiliation means a type of a marketing program where a person refers others to a certain business in return for some kind of a reward, typically financial. This can be done through recommendations, banners, links or any other type of marketing material. In the Forex world affiliates refer potential traders to Forex Brokers. The referral works if a potential trader clicks on a link or a banner which is provided by an affiliate and later on registers to trade with the Broker. That trader is marked as a customer of that Forex affiliate through whose referral link he arrived. Forex Affiliate means an Internet type of an Introducing Broker, also referred to as IB but without having an office or sales staff. Forex Affiliates refer their customers through websites. Becoming an affiliate is much easier and typically Forex Affiliates are private individuals with internet properties and large traffic as opposed to IBs who are mostly organized as companies and are more institutionalized. Becoming an affiliate for a certain broker or several ones is very easy and can take less than five minutes. Typically you can see a short line of code right after the Forex broker’s domain name. E.g. when someone referred customers to a fictional Forex Broker like "ForexBase", their referral link might look like this: http://www.forexbase.com/landing.php?id=5. This tells you that who ever is placing this link works as an affiliate. Rebates means that affiliates are compensated for a volume which their customers make. E.g. an affiliate gets 1 pip for every standard lot his customers trades. 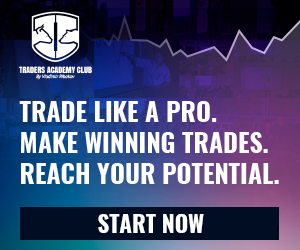 The industry standard is 0.5 - 2 pips which depends on the Forex Broker (market maker or ECN, so competitive spreads or not) and the currency pairs (majors or minors – minors tend to have larger spreads as they are less traded). CPA stands for Cost Per Acquisition. This type of compensation is paid if a referred client either signs up for a Live account or makes a deposit, nuances are relevant here. The industry standard can be $200 - 300 per client and can go considerably higher depending on the deposit size. CPL stands for Cost Per Lead. The affiliate is compensated if a referred trader provides his details on the broker’s landing page: it is marketing page that offers something to the trader while collecting basic details like name, phone and email address. 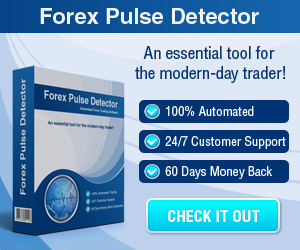 Some Forex Brokers provide this when a referred trader signs up for a demo account as well. Revenue sharing is the most "interesting" type of a compensation. Market makers profit not only from the spread but also from some of their customers losses and some affiliate programs go as far as offering part of their "revenues" from clients. This typically stands for part of the losses. Another type is the Hybrid commission that involves a couple of the mentioned options: e.g. an affiliate can get a CPA plus a Revenue sharing. An important type of program is called 2nd tier, referring a trader is consider 1st tier: this means that when you are a Forex Affiliate and you refer a Forex Affiliate to the Forex Affiliate Program you can get a share of that Affiliate's revenues. It can be a fixed amount or percent of revenues). But you should not count on that too much: it is very hard to track and Forex Brokers do not really like paying twice. 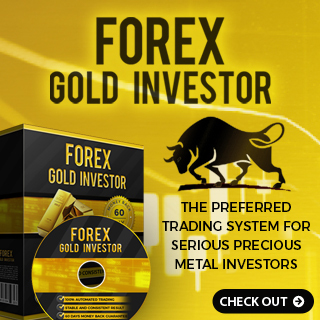 The most important thing for you is to know your Forex Broker. A lot of Forex Brokers are known for playing games with their affiliates, so e.g. not reporting opened accounts, delaying the payment or even not paying the commission. Sounds stupid on brokers' behalf? It is because these brokers undermine their own business. The best thing for you is to ask around, browse the internet for some hours but do not trust every review which you read because most of the reviews are biased or written by brokers themselves, so you should try to get an overall impression. Some Forex Brokers try to attract Forex Affiliates by offering them high rebates or high revenue sharing but focusing on that is a misconception. While a lot of people are driven by the high income prospects, that is ok, all this will not matter when the broker w will not pay you for your services. 1. Who is your Forex Broker: You should get the history and ask around, so try to understand how open and transparent your broker is and how competitive is its offering like spreads, customer service, etc. because that is what your customers will be checking themselves. You should also figure out how big and known this broker is: as a rough guide - the bigger and the more established the broker is, the better are the conversion rates and the less its likely to play games with you as an affiliate. Another important factor is a multilingual support and availability of different types of accounts and platforms. As a rough guide in Forex Affiliation - the broker's staff is multilingual and it offers different plans. You will get the right feeling if you are talking to brokers' affiliate managers. You can follow an easy rule if deciding on a business partner: when he is too slick or tries to sell too hard it is better for you find someone else. 2. Affiliate Back Office and reporting is also a relevant aspect to see whether the Forex Broker offers some kind of back office software access that allows you as a Forex Affiliate to track performance real time. When you do not know immediately how many clients signed up by using your links and only know it at the end of the month that is really bad. When the Forex Broker only pays you at the end of the month without providing details that is bad, too. Online marketing is based on immediacy which means the ability to know immediately and in real-time whether what you are doing is working or not. 3. Deposit and Withdraw options: This works in two ways - how easy it is for your customers to deposit money, of course more payment methods necessarily mean more conversions, and how easy it is for you as a Forex Affiliate to withdraw your commission. There are a lot of more things to think about but we regard this three as more important than others with the first one being the most important by far. And you should have in mind: Even when everything looks good, do not forget to test your Forex Broker once in a while by opening a live account through your link - but coming from a different IP and with different name/credit card of course - and see if the broker does not "forget" to credit you for that "new" client. You will be surprised how often this can happen.